Fill your home with a brand new refreshing vibe that only plants can offer. Bring freshness and greenery in the most elegant way you can with Brussels’ Glazed Ceramic Pots. 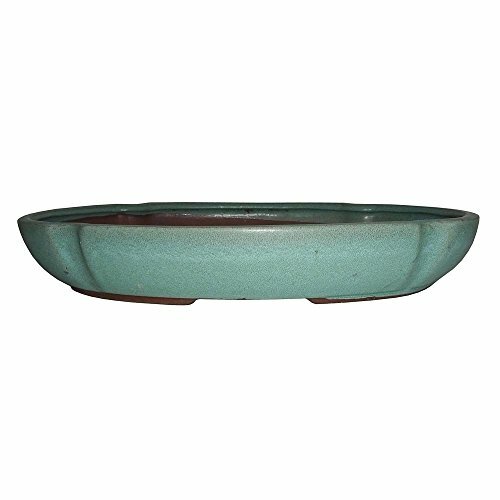 These glazed pots are perfect starter pots that can beautifully hold your cactus, succulent, seedling or bonsai. They make nice decorative items to display as ornaments or centerpieces on your windows or tables. Made of excellent material, each one is carefully molded and baked in high temperature from top quality clay; Footed with drainage holes. Definitely an attractive item that your home needs today! QUALITY: Durable rich glazed ceramic; Weatherproof for outdoor; Smooth finishing. CONTENTS: Includes wire and drain screen. DELIVERY: Each container comes securely wrapped in foam for safe delivery. DIMENSIONS: 12" x 8" x 1.5"; 6.0 lbs. WARRANTY: 90 day warranty covers all defects and damages on arrival with no-question-asked return policy.